Getting 20 years is not enough for these two pieces of garbage. They should've gotten life in prison. 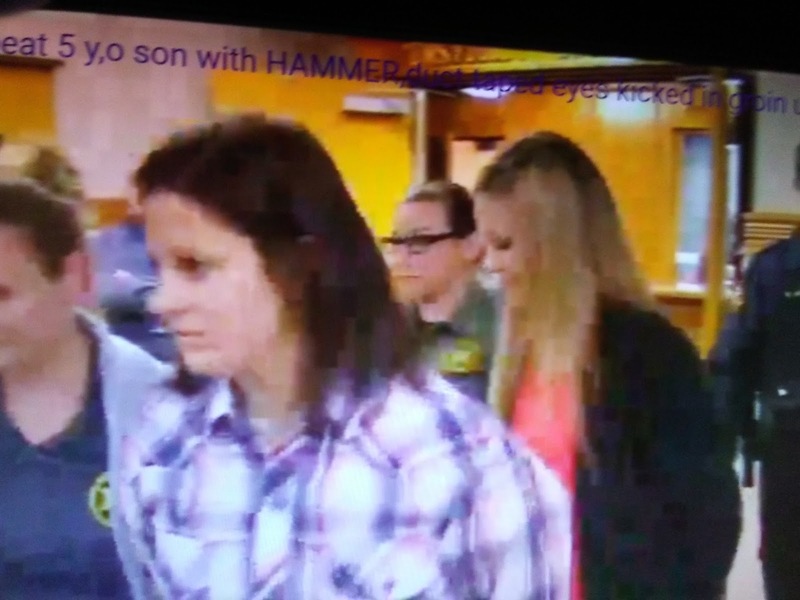 Daily Mail reports a lesbian couple from Oklahoma have been jailed for 20 years after they tortured one of the women's five-year-old son's, beating him with a hammer and kicked him in the groin in a brutal attack which causes him to suffer two strokes. Rachel Stevens, 29, and her partner Kayla Jones, 26, pleaded no contest on Friday to child abuse and child neglect charges. They were jailed for 20 years on Wednesday as part of a plea deal. The case first came to light in early December, 2015, when Stevens' then five-year-old son was flown to St John Medical Center in Tulsa suffering from seizures and lesions on his face.